Construction Worker is classified as an Intermediate career, because it depends on Wood from Explorers and Warriors. It increases productivity by providing Houses for new Villagers and by providing structures to Animal Breeders and Herbalists. Your villager begins with 50 Skill and can have a maximum skill of 500. Skill translates to Durability for the structure built. Building a structure is very straightforward. 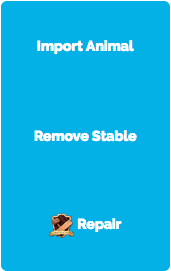 You may click on any of the three structures to begin. The House corresponds to your particular Village. When building a structure, you may mix and match Wood from any Village. Each type of structure takes a different amount of wood and time to build. They also give different amounts of Skill points. Completing a structure puts the structure into your Inventory and increases the Skill of your villager. A Village House raises your villager's skill by 5. It starts at 70 Wood and 70 minutes for a 50 Durability structure. It caps at 350 Wood and 350 minutes for a 250 Durability structure. 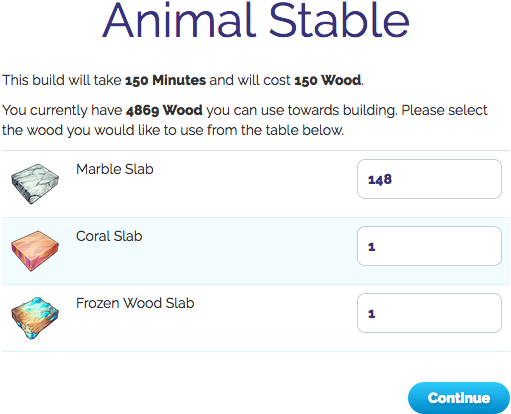 An Animal Stable raises your villager's skill by 3. It starts at 30 Wood and 30 minutes for a 50 Durability structure. It caps at 150 Wood and 150 minutes for a 250 Durability structure. 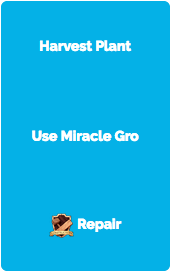 A Herbalist Pot raises your villager's skill by 1. It starts at 10 Wood and 10 minutes for a 50 Durability structure. It caps at 100 Wood and 100 minutes for a 500 Durability structure. In addition to building structures, Construction Workers can also repair them when they lose durability. Once a structure reaches 0 durability, it breaks and disappears, taking anything inside with it (except for Villagers). Items in your Inventory can be repaired from the Construction Worker Career page. 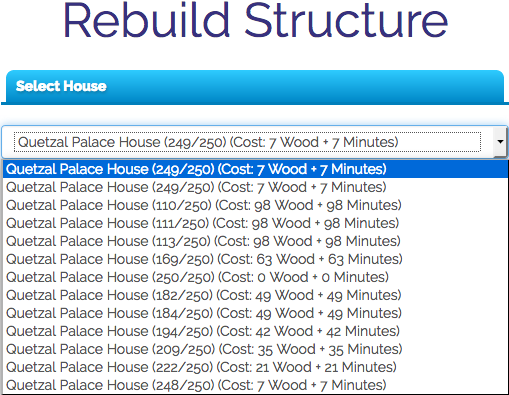 Repairing a structure requires an amount of Wood and time dependent on the Durability lost. Repair time can be decreased based on the villager's skill level. Visiting a Villager, Animal Breeder, or Herbalist page while a Construction Worker is set as your Active Villager reveals a Repair option for the House, Animal Stable, or Herbalist Pot. The structure can be occupied while being repaired. If you do not have a Construction Worker or do not want to use your own villager, you may also use the Maintenance Market to repair your structures. Repair times are improved by villager skill level. However, the improved time is not displayed when you initially select a villager, so don't worry if the times look the same between a 50 Skill and a 500 Skill villager. 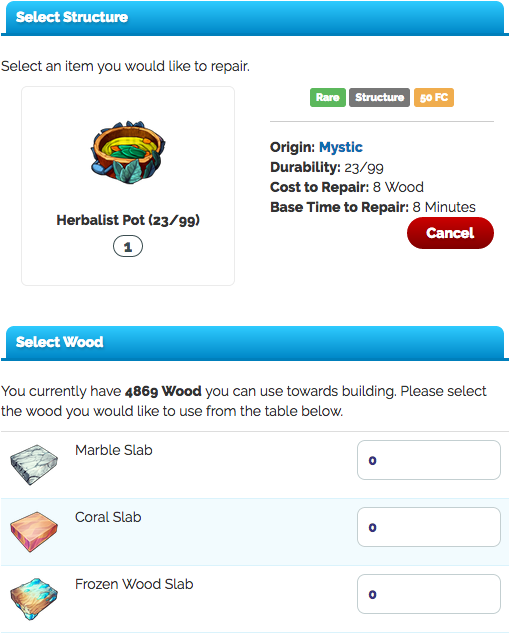 When you use the Maintenance Market, you still have to provide the Wood for the repair. Also keep in mind that prices can be listed in FC or FD and choose carefully. To make your Construction Worker available on the Maintenance Market, you simply have to set your rates in FC or FD per durability point for each type of structure. As soon as you Update Prices, your villager becomes available. Applying a Beast Costume to the villager decreases build time by 5%. As with any Career, your villager has a chance of falling ill with each completed action. Build and repair times are doubled for a Construction Worker with a minor illness. Villagers with a major illness cannot work at all. Village Houses are used on your Villagers page. 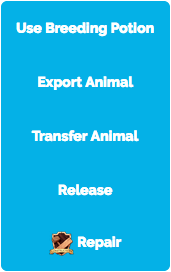 Animal Stables can be used by Animal Breeders. 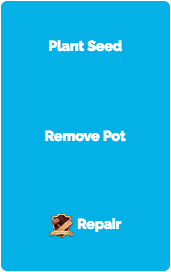 Herbalist Pots can be used by Herbalists.